Stormwater drains pose a risk of water contamination from accidental spills. There are many types of covers for drains. 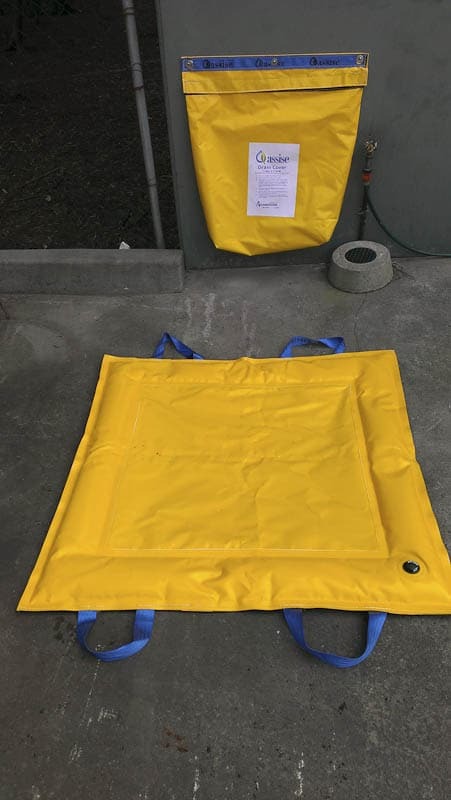 Weighted Drain Covers are a simple, quick to deploy and effective method for temporarily sealing a stormwater drain in the event of a spill. They are an economical solution for your stormwater management plan. Blocking the drain will allow time for spill clean up while preventing stormwater contamination.